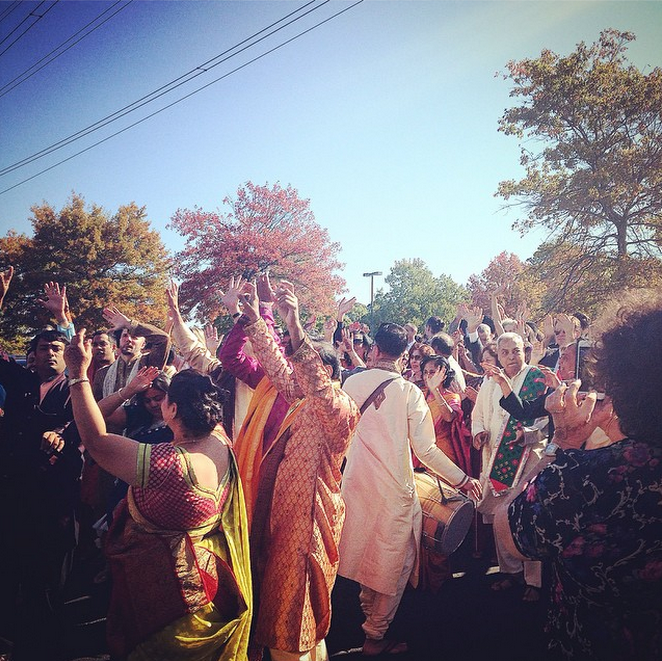 This weekend we traveled to the Hyatt Regency in Long Island where Nipa and Vik enjoyed a wonderful wedding weekend. Guests traveling from near and far were greeted by the SJS welcome desk and handed welcome bags and itineraries before heading to their rooms. 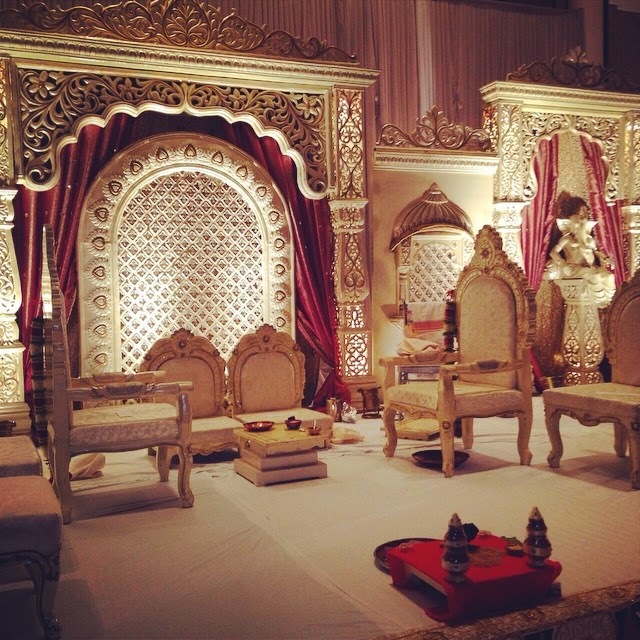 The events were kicked off on Friday evening with a colorful Sangeet. Guests enjoyed henna by Monita and Mehendi For All, while the beautiful decor came courtesy of Kalpana Aunty at Sajawat decorators. Ritesh Rathod and the Medley Entertainment band kept everyone dancing long into the night, while guests sampled amazing Mexican cuisine from Rajbhog catering. Saturday was a jam-packed day which began with a buffet lunch from Rajbhog followed by the groom's baraat. DJ insomnia made sure that the grooms procession was lively as ever and he made a fun and energetic entrance to his ceremony. The bride's entrance was equally as stunning, gliding in on an open hand-painted dholi supported by 8 of her close family members. The emotional ceremony took place on a beautiful mandap crated by Sajawat and was witnessed by 600 guests who were kept refreshed by servings of ice-cream from Rajbhog. In the evening, guests enjoyed a cocktail hour on the terrace patio before entering the grand ballroom for a stunning wedding reception catered by Bukhara Grill. Along with DJ Insomnia, a photo booth kept guests entertained well into the night. We wish the couple every happiness and are so glad to have helped make their events a success! Nipa and Vik were also featured in the New York Times on Sunday. Click here to see the article.